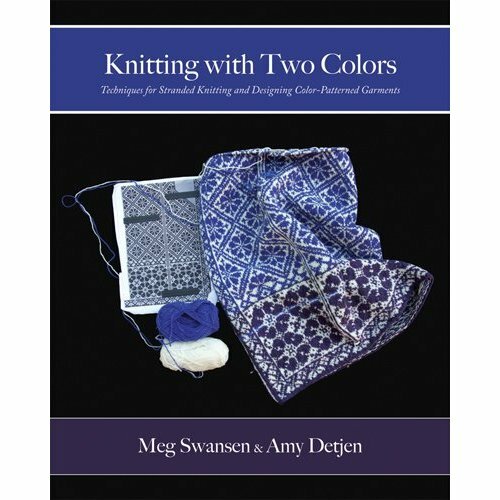 Meg Swansen is every bit as beautiful and gracious in person as you might imagine, with a little twinkle for every knitter. She and the lovely Amy Detjen signed their new book at the Sow’s Ear on Saturday afternoon; it was so nice of Amy to introduce us. Debi generously invited me to join the Sow’s Ear crew, Amy and Meg at Quivey’s Grove for dinner after the event; local specialties in a stone farmhouse-turned-restaurant. Poor Meg had to leave because she wasn’t feeling well, but the Sow’s Ear ladies, including Webmistress Cindy, Heather, Debi, Deb, Liz, Pat and Jeanne-Marie have no trouble keeping things lively.Talk of yarn, knitted ski masks and Knitting Camp turned to techniques, and Amy, in Teacher Mode, rattled off 11 different sweater yoke methods. We all wanted to try, so we agreed that we’d each knit a sweater with a yoke this summer. I’m really excited about this project, and have been combing Ravelry for my Yoke-Along sweater. Of course, there’s this knitting book deadline, so it’s maybe a tad unreasonable to take on a sweater right now, but why let logic take over my knitting? Passions are wild. Plus, sleep is overrated. And I really want to try a yoke. 1) Can’t be on anything less than a Size 5 needle, or I’ll never finish. 2) Must be yarn available at the Sow’s Ear. 3) This was a bit of a wrench, because there are so many great cardigan patterns out there, but I know that I’ll do better if I can just knit my way around a pullover. 4) I love colorwork, but have to make sure that the colorwork or yoke section is big enough to look flattering on someone as tall and big as me. ETA: Amy says a small yoke looks like a necklace, so I’m rethinking that one. Stripes! by Whitney Gegg-Harrison (I would just do the stripes on the yoke section). Elemental Pullover, by Veronik Avery. I love everything in the Knitting 24/7 book. Please let me know which of these to pick! And, please also let me know if you’re interested in an online yoke-along. Maybe we’ll be able to convince Amy to pop in and answer questions sometimes…. Jaala, my top vote is for Equinox, but if you go with a knit-along I’ll vote for Stripes! Despite having taken Amy Detjen’s stranded knitting class, I still avoid 2-color knitting. Jaala, at least you have it narrowed down! Things to remember: you could knit one for an 11-year old; you can knit a Cardi with a steek (too much fun); narrower color patterns around the yoke look like intricate necklaces – better that than too deep on a tall girl. I do like Cottage Garden……. Maybe the smaller needles will make it go faster? I’ve always loved that Cottage Garden. Just sayin’. I could see you in Equinox, or Stripes. Darn you! Your list has made me add to my queue!! Oh, the Neiman sweater is brilliant! I’d forgotten about that one. I’d totally join in a yoke-along for that (especially with an ‘ask auntie Amie’ question-hour to boot)! The coloring and the asymmetric motifs are perfect and I like the fit and sleevelength, too. I love a yoked sweater (I knitted the Solveig Yoke sweater last year and the Scandinavian Cardigan with my first steeks! )…I personally would really love to knit the Equinox or the Cottage garden, but any of your choices look awesome! Sorry to comment twice, but that scene from Moonstruck where your title is from is one of the funniest movie moments EVER! Makes me laugh out loud every time! Cheryl Burke’s Epiphany (http://www.ravelry.com/patterns/library/epiphany) was a fun knit as was Jared Flood’s Huron (http://www.ravelry.com/patterns/library/huron). Both are great comfy sweaters.